September Revolution Day is one of the public holidays in Yemen. 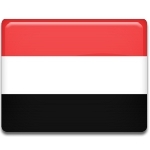 This holiday celebrates the establishment of the Yemen Arab Republic in 1962. Many attempts to end the rule of Al-Hamiduddine family in the northern part of present-day Yemen ware made earlier, but they all failed. Only revolution on September 26, 1962 brought successful changes to political situation in the country. The northern part of Yemen separated from the rest of the territory and declared itself the Yemen Arab Republic. It was an independent republic till 1990, until it was reunified with Yemen in October 1990 to form the Republic of Yemen. Celebrations of September Revolution Day start with lighting a torch at Al-Tahrir Square in downtown Sana’a, the capital of Yemen. This ceremony symbolizes the beginning of the next year of the revolution and it takes place at the very same place, where the first signal of the revolution was given in September 1692. Youth from all parts of Yemen attends this ceremony and the festival, that is held till the end of the day.